Contender Sailcloth from the Netherlands, one of our customers with international operations, supplies sailmakers all over the world with a full range of sailcloth for modern sail design. Depending on the application and use of the sails, sailcloth made of woven fibers is often used. 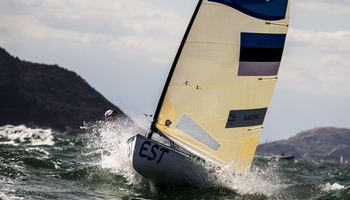 Especially in the racing sector and within professional regatta teams, the demand for ever lighter but dimensionally stable sails has been continuously growing in recent years. In response to this, Contender Sailcloth offers its customers a technologically advanced range of laminated sailcloths. The flagship product from Contender Sailcloth is the MAXX® Racing laminate which is produced using aramid fabrics provided by SAERTEX. For the high performance sport and regatta team target groups, Contender Sailcloth wants to provide a sailcloth which is even lighter and simultaneously more stable, long-lasting and durable. To this end, Contender Sailcloth harnesses the expertise of SAERTEX for exclusively producing its laminated materials made of aramid fabrics in accordance with Contender Sailcloth’s specifications. The innovative MAXX® Racing laminate is a favorite for crosscut sails with dinghy sailors at Olympic, international, national and club level. This stable MAXX® Racing laminate has proved itself time and again to be both versatile and long-lasting on regatta courses all over the world. The expertise of Contender Sailcloth as a manufacturer of sailcloth and its knowledge of the particular requirements placed on high-end sails, together with SAERTEX's comprehensive know-how in the production of multiaxial aramid fabrics and their further processing into laminates, perfectly complemented each other in the production of the innovative MAXX® Racing laminates. The MAXX® crosscut laminate for dinghy sailors provides sufficient support and distributes the load to be carried by the sail. This reduces the load on the Mylar film, thereby improving the shape-holding properties of the sail. 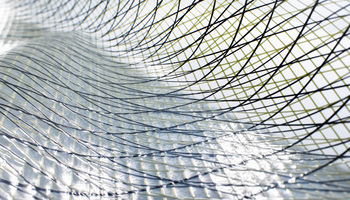 To this day, SAERTEX has supplied laminated ready-to-use aramid fabrics to Contender Sailcloth. These are used to fabricate sails with superior shape-holding properties and high efficiency over a wide range of wind conditions. Through continuous innovation in cooperation with sailmakers and sailors from all over the world, Contender Sailcloth successfully developed a technologically advanced range of laminated sailcloth to meet the highest requirements of modern sail design. At the 2016 Summer Olympics in Rio de Janiero (Brazil), a large number of boats using MAXX®.